On July 12 at 17:30 atthe Vilna Gaon State Jewish Museum (Naugarduko street 10/2 Vilnius) there will be a premiere of the documentary film “The Good Nazi” and a discussion with the executive producer of the film and the archaeologists behind the story. The event is organized in cooperation with the US Embassy in Vilnius and is open to the public. The film “The Good Nazi”( 2018, 52 min., dir. Yaron Niski) is a tribute to the amazing story of Major Karl Plagge, who from 1943-1944 ran the concentration camp HKP 562, an army transportation vehicle shop which was located on Subačiaus Street in Vilnius. During World War II, Major Plagge, an engineer in the army, was transferred to Lithuania. He early on started to question the Nazi ideology, which led him to make the fateful decision of helping save over 250 lives. “I saw unbelievable things that I could not support...it was then that I began to work against the Nazis”, recalled K. Plagge, who after death was recognized as Righteous Among the Nations by Yad Vashem. “His vision of HKP was more than just a repair shop. For many of these people, this was their permit for life,” said Dr. Richard Freund, a U.S. archaeologist who worked at the HKP site. The film presents research carried out by Dr. Freund and others from the United States, Canada, Israel and Lithuania who worked to find the location of the concentration camp’s mass graves and hide-out places, known as “malines” where the Jews hid from the Nazis. In the film, HKP concentration camp prisoners, who survived the Holocaust, speak about their personal experiences. One of them is famous painter and honorary citizen of Vilnius Samuel Bak. After the screening of “The Good Nazi”, there will be a discussion where movie producer Simcha Jacobovici (Canada-Israel), archeologists Dr. Richard Freund (USA), Dr. Jon Seligman (Israel), Ramūnas Šmigelskas (Lithuania) and geo-archeologist and cartographer Dr. Philip Reeder (USA) will share their insights from the movie. The event will be in English. Tolerance Center is the largest exposition site of the Vilna Gaon State Jewish Museum, where Lithuanian Jewish art, culture and history expositions are held. Cultural and educational events, conferences, film premieres and discussions on various topics happen here. 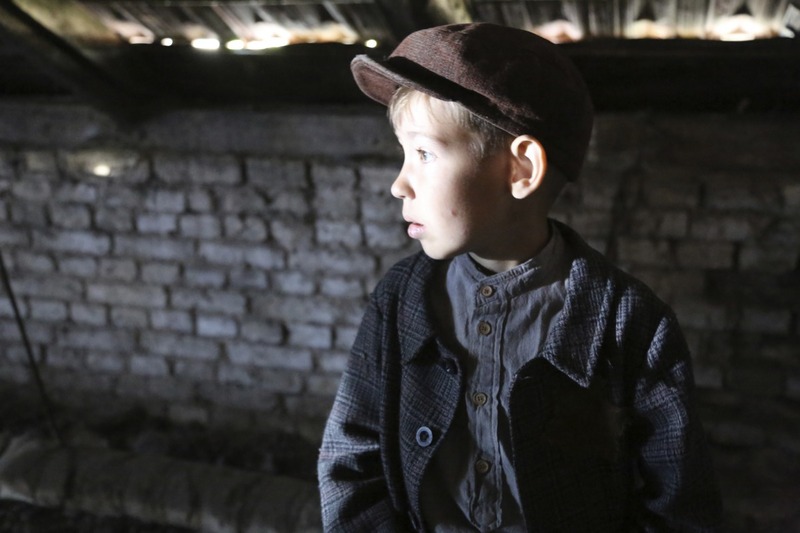 In the photo: scene from the film “The Good Nazi”.